Sculpture – how heavy is it? Probably very heavy – seeing the considerable weight of material and tradition. Yet, it is not always its weight that is so overwhelming… The contemporary sculptural object materialises in itself cultural changes, the human relation towards the object, emotions, as well as contingency. 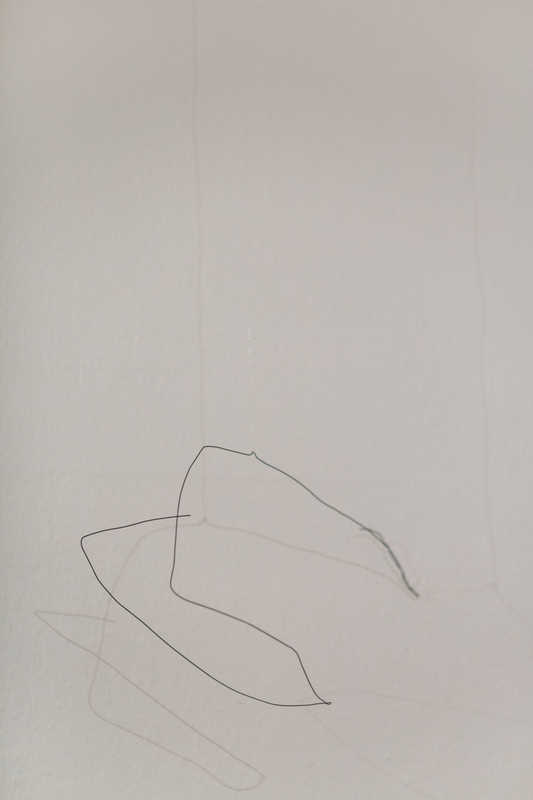 The scope of sculptural matter embraces various contemporary cultural contexts, from slam chic, precariat art, and the concept of the artist-debtor working in late capitalist political systems, to neo-materialism, the focus on the content of the form, and the object as a part of the circuit of production and distribution. 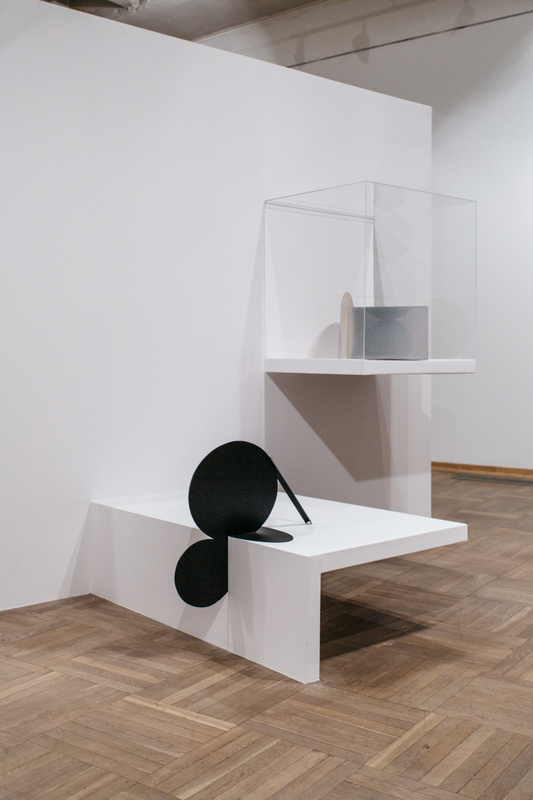 “Minimal Forms of Reality” is an international exhibition that addresses the diversity of forms of contemporary sculpture, its varieties and languages. 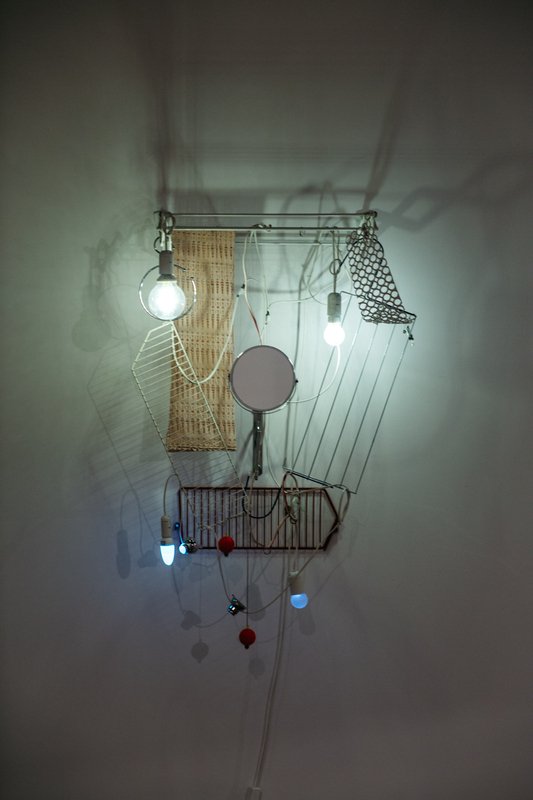 It gathers artists who isolate objects from the context of their everyday existence and test out, seemingly impractical installations, non-sculptures, and designed time-space environments that capture and engage viewers’ attention. 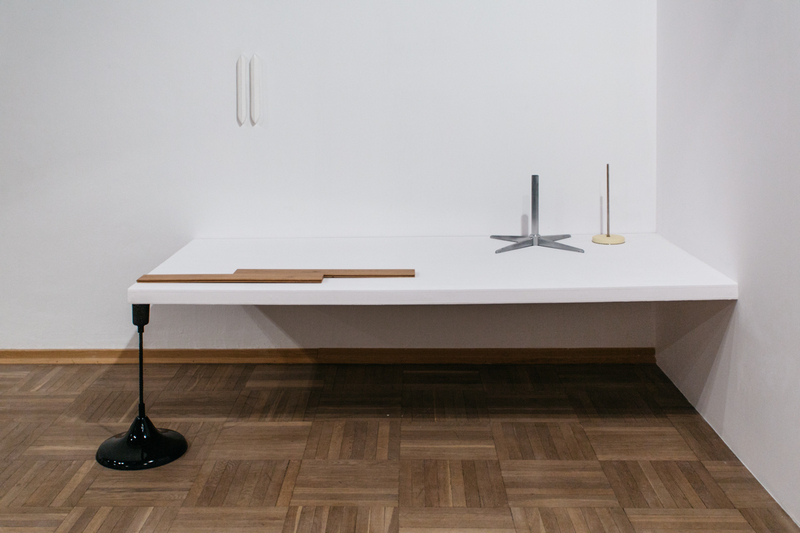 The gallery is filled with objects deprived of their normal function: hats and workshop rubbish (Jos de Gruyter and Harald Thys), drier and mirror (Haegue Yang), leaves, cones, filings of exotic trees (Anna Niesterowicz), and sea waste (Anna Witkowska). Works on display recall neither Duchamp, nor Rauschenberg, for artists are closer to the movement of Arte Povera and concepts of Germano Celant, who in the 1960s favoured the intuitive and pure art that stood in open opposition against the commercialised American Abstract Expressionism, as well as the exceedingly rational Minimalism. They share a lot with precariat art and artists from Latin America, such as Francis Alÿs, Hélio Oiticica, Gabriel Kuri and Abraham Cruzvillegas – artists fascinated with methods of informing the world about actual poverty and social exclusion. The techniques they use – the art of rubbish, the aesthetics of waste, DIY or autoconstrucción (self-construction – a notion used by Cruzvillegas to describe his method) – refer to the rules that regulate the lives in favelas, the so-called shanty towns in Mexico or in Rio de Janeiro. Their postmodernist ready-mades derive from the assumption that all kinds of artistic activity make use of already existing components. In this respect, the materiality of the object contains both emancipatory potential, setting directions and means of avoiding the participation of objects in the economy of production, as well as proposing a new kind of materialism that positions itself beyond the fetishism of matter and favours the emerging relation between object and experience it evokes. 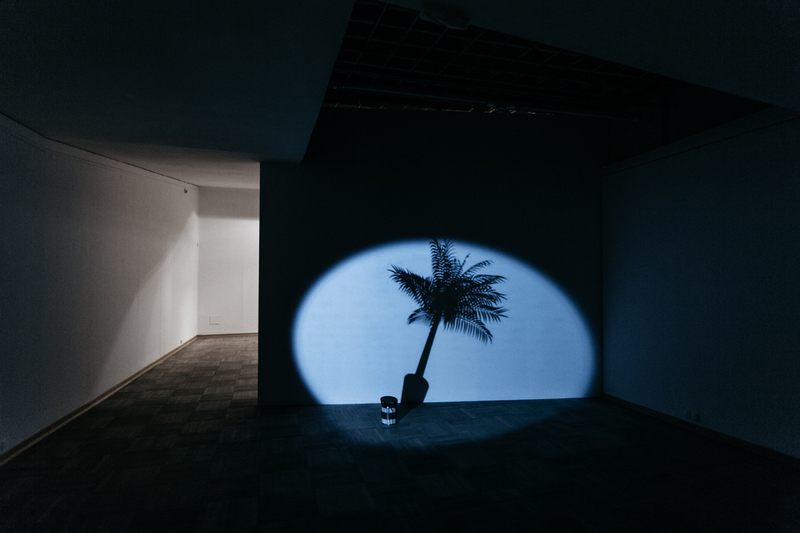 The exhibition examines illusions produced by the materiality of sculpture, recognising that all its misleading signals, transparencies, distorted proportions, repeated gestures and variable scales are there to deceive our senses, to evoke the need to seek meaning outside the form itself, and to offer an experience of reality in the form of minimal breakdowns, bends, alert and observant illuminations. Artists from diverse cultural backgrounds materialise affects, fears, and immaterial phenomena by creating impossible sculptures based on the relation between looking and experiencing, thus sharpening our senses. 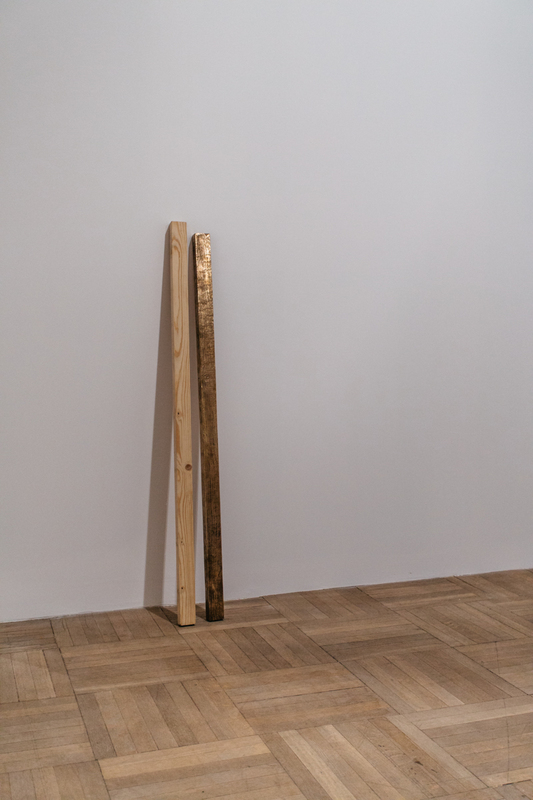 This way, through its austere form as well as ambiguous message, sculpture requires from us greater attention – both in the gallery, as well as outside it. It arouses in us the need to independently explore the crevices of the everyday and to discover the minimal forms that will constitute the proof of the value of each and every being, of each and every relation. “Minimal Forms of Reality” is a project that engages all the senses, making use of the specially designed space working under the name “Exercises in attention”. Its objective is to open up the viewers’ perception and stimulate their attention. A set of exercises was designed in collaboration with attention and contemplative psychology coaches in order to equip the viewers with the tools useful for constructing their own stories or individual definitions of the titular “minimal forms of reality”. Sharpening of the senses, close observation, and concentration on the surrounding space will serve the task of broadening the context of the exhibition by including the experiences of the viewers, initiating thus their individual encounters with works of art. 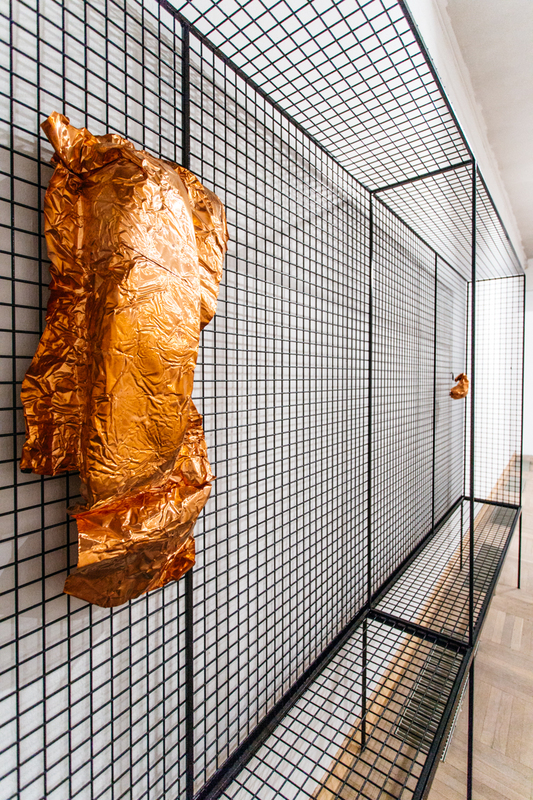 Additionally, the exhibition will include an extensive programme of related events, including initiatives directly linked with the display, taking place outside the gallery (in virtual space), as well as outside Krakow. 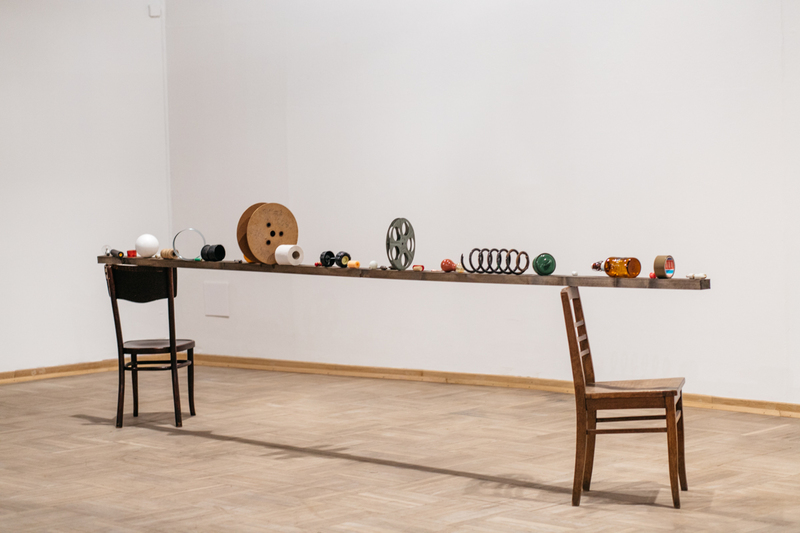 Drawing from the basic rules of attentiveness, the planned initiatives will help the viewers take a pause at the exhibition in Bunkier Sztuki, but also, or perhaps more importantly, make a pause in their incessant everyday pursuits. Stop! Make a pause, listen, open your eyes, look, and feel – all this in a specially designed space of “Exercises in attentiveness”, which will prepare the viewers to not only see, but, above all, to experience the exhibition. Facebook and Instagram event through which viewers are invited to document the minimal forms of reality present in their personal surroundings. A collection of audio-visual materials submitted by Facebook and Instagram users, offering a proof of the multiplicity of individual definition of the notion of minimal forms of reality. Can real treasures be found at a contemporary art exhibition? What will they actually be? Especially for the youngest viewers, we have designed a map that will help them in their search. A series of exercises and games – valuable finds guaranteed! Workshops for children within the frameworks of the Bunkier Sztuki Little Club programme called “Pattern Book”, run by Gizela Mickiewicz. July 12th, 2015 (Sunday), 11 am / Let’s Go for a Walk! A walk in wild gardens with Anna Niesterowicz and Zbigniew Mielke. A very careful search for minimal forms of natural reality. The meeting will take place in Warsaw, while its documentation will be displayed at the exhibition in Krakow. Curator’s guided tour, within the series “Taming Art”. Workshops for children and their guardians, during which we shall try to confront our respective outlooks on issues related to contemporary sculpture. Meeting with Magdalena Zych, who will talk about various modes of interpretation of minimal forms of reality in a wider context of anthropology of everyday life. Meeting at the exhibition with Lidia Krawczyk and Karolina Vyšata, summarising the events that took place in the course of the project. Part of Open Weekend. Subsidised by the Ministry of Culture and National Heritage.